He’s got a big open chest, and giant wings. He’s got a lance ready to pierce in his hand while his foot is trampling over Satan’s head. He’s got power to kill the evil and to protect justice. He is not afraid. Instead, he is on the front line as a warrior, going wherever those big wings will take him. He listens, and responds. He’s a powerful messenger and defender from God. When he is assigned to you, you have nothing to be afraid. ‘Who is like God’ is the hebrew translation of Michael. He leads the heavenly armies in battles against the powers of hell as the chief of the holy angels. He puts 911 response team in shame when it comes to rescuing souls. As I was driving to my gallery from the church, those were my thoughts. I thought about St. Michael. I could almost feel his big wings enveloping my shaking shoulders disturbed by the unknown fear. The image of the angelic host surrounding my small body had a major effect in calming me down. I noticed my breath gaining its control again. I was just starting to worry. I wondered if I should pull over and stop until I make sure I had my panic attack under control. But no need. I was as calm as I ever was. On my way out of the chapel, I hurriedly wrote down those prayers. I was in a hurry because I was afraid someone will get in line to write down her prayer, and read what I have wrote just before her. I did not want anyone to know about my desperate call to God for help. Was this the answer to my prayer? This closeness of St. Michael? Was it just a coincidence that I was confirmed to join the Catholic family at St. Micheal’s Church on Big Island? I remember my friend Bonnie telling me once. It was few years ago, the first year of my life in Hawaii. We were having a conversation about St. Michael, and Bonnie told me that some people in Kona have mentioned that they have seen the archangel, St. Michael on Ali’i drive(where St. Michael’s church is located). I believed her. I would believe any stories about angels. I believe because it is always better to believe. It can’t hurt to believe. The world is better when God is with us. The world has gotten better for good since Jesus came into the world. And the world seems more beautiful if I believe that the angels are here with us. With me. In my moment of fear and panic, through the suffering and pain, I’d rather believe that someone, some existence is out there, and that I am not alone in this battle. 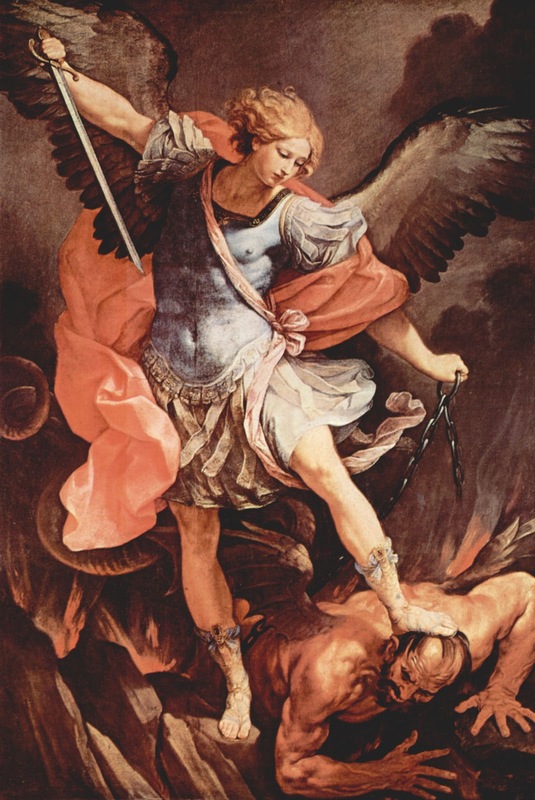 The St. Michael the Archangel prayer is one of the most powerful prayers we have. Thanks, lilyboat. And I think this is one of the many reasons of why I am so grateful that I am a Catholic.. I know now the power of this prayer from my very own experience! !